Prolong engine, transmission treatment, fuel cleaner and much more. We are looking for an offer on the whole lot. Please view the inventory list. 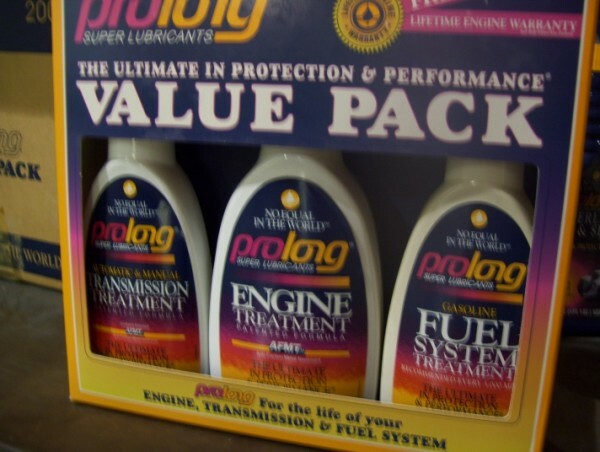 Prolong Engine Treatment is formulated with Prolong Super Lubricants patented AFMT technology to treat the metal surfaces of both gasoline and diesel fueled engines. As motor oil is pumped through the engine, Prolong Engine Treatment molecules interact with all of the metal surfaces, chemically bonding to create a protective layer that reduces damaging friction and heat. Temperature reduction is especially important in today's smaller import and compact engines that tend to run hotter. Prolong Engine Treatment is particularly effective under extreme pressure conditions, in the very areas of your engine where severe metal-to-metal contact squeezes motor oil out and away. 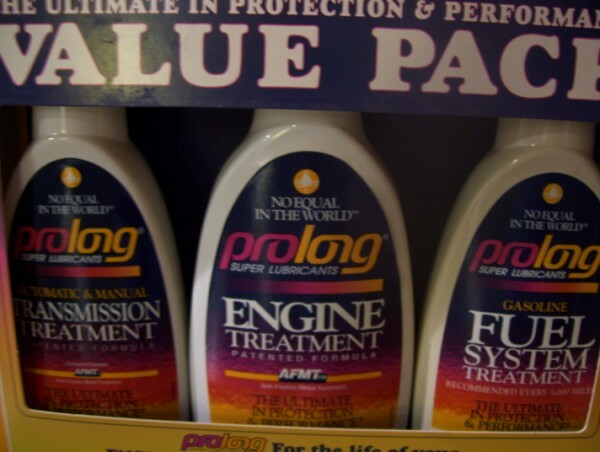 Prolong Engine Treatment adheres to metal surfaces in the engine, which means Prolong is working to protect your engine even when the motor oil is not yet fully circulating. Unlike other engine treatments on the market, Prolong Engine Treatment does not contain any solid particles such as PTFE resins, 'molys', zinc, copper or graphite. There is simply no other product that works as well as Prolong to reduce friction and heat in your vehicle's engine. 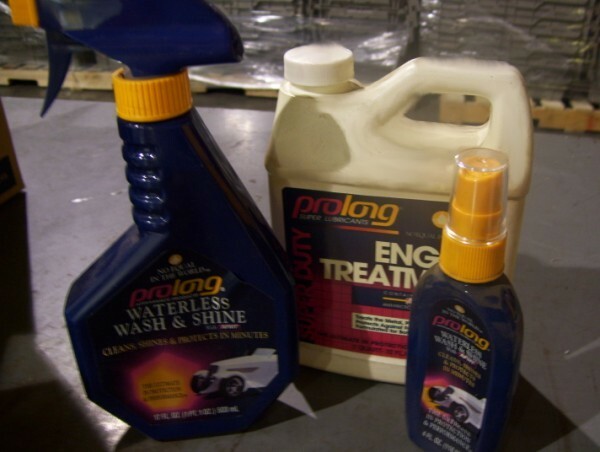 Prolong Transmission Treatment is formulated with Prolong's patented AFMT technology to treat the metal surfaces of both standard (manual) and automatic transmissions. As the transmission fluid or gear oil circulates, Prolong Transmission Treatment molecules interact with all of the metal surfaces, chemically bonding to create a protective layer that reduces potentially damaging friction and heat. Prolong Transmission Treatment is particularly effective under extreme pressure conditions, providing significant protection against one of the most costly automotive repairs. The product promotes smoother manual shifts and helps restore responsiveness in automatic transmissions, especially in critical quick-acceleration conditions. Prolong Fuel Injector Cleaner is formulated to thoroughly clean injector tips and intake valves, removing clogging carbon deposits that cause misfiring and poor fuel economy. Periodic treatment restores an uninhibited spray pattern for optimum firing, essential to smooth, efficient operation. 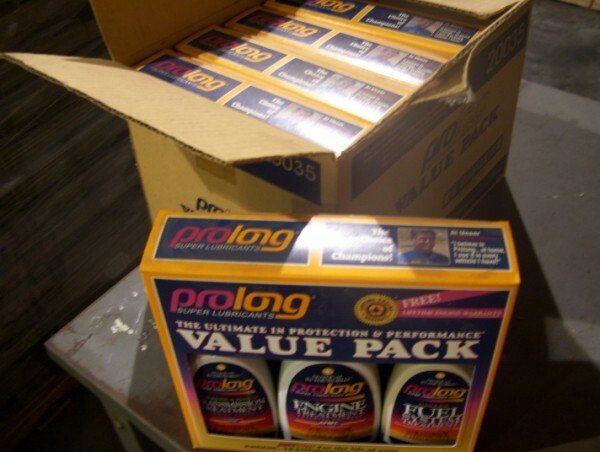 Prolong Fuel Injector Cleaner is compatible with all grades of gasoline.